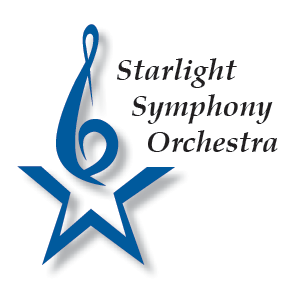 The Starlight Symphony Orchestra invites you to the opening concert of the 2016-2017 season themed, “All I Need to Know I Learned From the Symphony”. 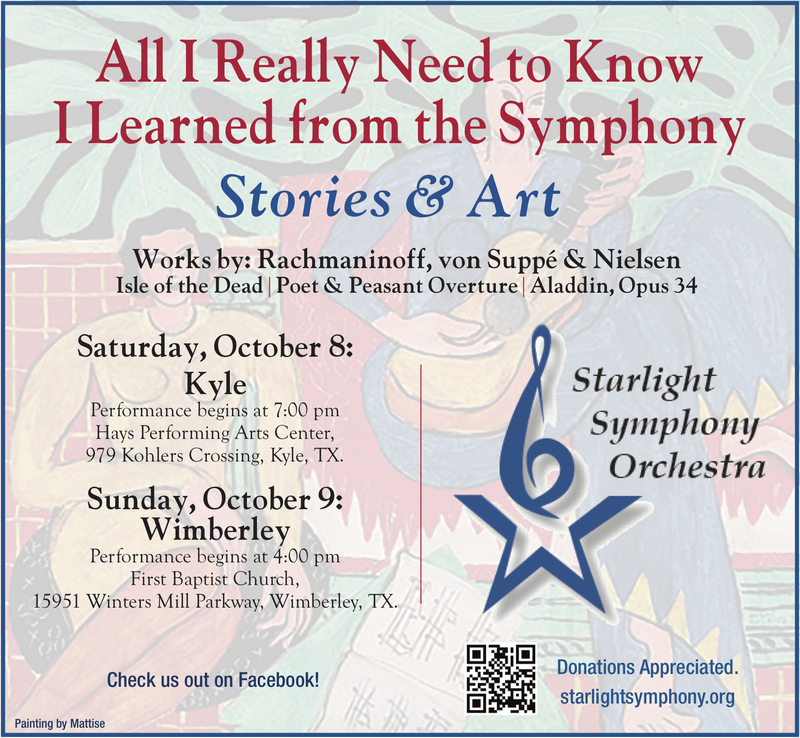 Music that is inspired by various stories and artwork will fascinate imaginations with the first concert entitled, “Stories and Art”. Pieces written for opera and theatre, such as “Poet and Peasant Overture” by Franz von Suppé, and “Aladdin” by Carl Nielsen, boast a lively and energetic sound that is sure to captivate. Perhaps the most dramatic and rich is Rachmaninoff’s “Isle of the Dead”, based on the famous painting by Arnold Böcklin. A moving symphonic poem, the piece portrays the feeling of the painting by using rich orchestral sounds, beautifully orchestrated together, evoking lasting impressions.